If you have a big TV room, you'll want a big TV to put in it, and in 2017 that means 55 inches. This is one of the most popular sizes of TV, and here we're bringing you our pick of the best 55-inch TVs of 2017. The 55" size is more affordable than ever before, and we've lowered our price categories to reflect the fall in prices compared with last year. If you're on a tight budget, there's one option that stands out above all others: the Samsung UE55MU6100. 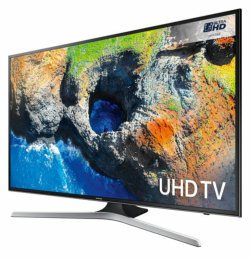 For £700 or less you can get yourself a monster 55-inch screen from market leader Samsung. 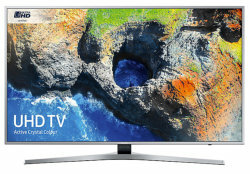 The MU6100 is a typical Samsung TV with smart design, 4K HDR compatibility, and access to streaming content from Amazon Instant Video, Netflix, and the BBC iPlayer. 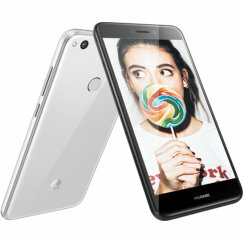 It also offers excellent connectivity with support for screen mirroring of compatible smartphones and tablets. Picture quality is superb for the price, with deep blacks and bright highlights. 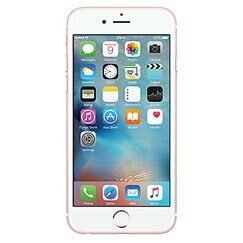 Just watch out for motion blur and narrow viewing angles. In value-for-money terms, this is simply unbeatable. 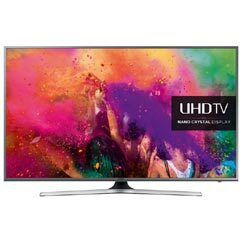 Spend a little more, and the Samsung UE55MU6400 is within reach. This has better build quality than the cheaper MU6100, and smoother motion control and impressive dynamic range. Samsung's 2017 Smart TV is superb, with Netflix, Amazon Instant Video, YouTube, and catch-up services from the BBC iPlayer, ITV Hub, All 4, and My5. Online gaming is available, and you can stream content from compatible smartphones. This is a top value all-round entertainment system. 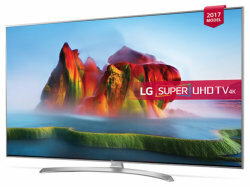 Priced a little higher you'll find the outstanding LG 55SJ810V. This is one of LG's Super UHD TVs using LG's brand new Nano Cell technology to offer a richer colour spectrum and wider viewing angles. 4K source material from Amazon and Netflix looks stunning on this TV, taking full advantage of the pin-sharp resolution and HDR colour range. 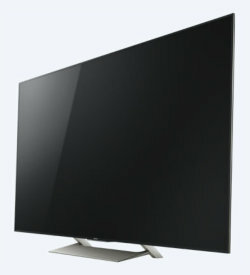 The TV has premium styling, with a metal chassis and a silver bezel around the screen. LG's WebOS Smart TV system gives you access to broadcast channels via Freeview or Freesat, plus catch-up with the BBC iPlayer, ITV Hub, All4 or Demand 5, and streaming content from Netflix, Amazon or YouTube. The Samsung UE55MU7000 started out at a much higher price, but recent falls have put it within reach of the discerning buyer. This Series 7 model has premium build and styling, and offers high-end performance. 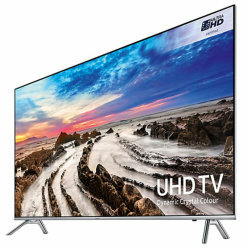 With dynamic crystal colour, a peak brightness of 1000 nits, and 10-bit colour, this TV fully meets the HDR10 standard. The result is pin-sharp, vivid images significantly better than anything produced by low- to mid-range TVs. With Netflix 4K or Amazon 4K, you can enjoy the very best quality TV on offer in 2017. Just make sure that the wide branch-style stand will fit on your furniture. 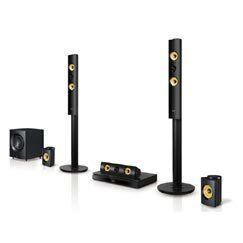 The Sony KD-55XE9005 is our pick at this higher price level. The Sony is a direct-lit TV with local dimming, and this model is equipped with Sony's outstanding X1 processor. The XE9005 fully supports the HDR10 standard and produces impeccable results with high dynamic range, smooth motion and moderate viewing angles. Android TV offers plenty of content via Google Play apps. Netflix, Amazon Instant Video and YouTube are available for streaming content, and you can easily access a full range of catch-up TV services too - BBC iPlayer, ITV Player, All 4, and My5. The design of the XE9005 is very attractive with a slim aluminium frame, matte black bezel and a smart brushed silver base. Money no object? Then your only problem is choice. 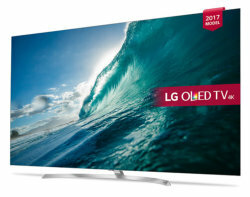 We're going to recommend an OLED TV, and in particular the LG OLED55B7V. 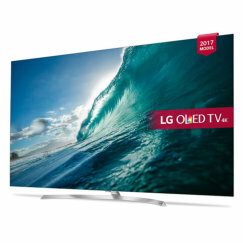 OLED technology offers many advantages over conventional LED televisions, and this model demonstrates ultra-deep black levels, superb motion handling and very wide viewing angles. Design-wise, the B7V is super thin with a screen just a few millimetres thick. With a 2.2 channel sound system and LG's excellent Smart TV, this is a superb TV in every respect. The price of OLED has fallen significantly in recent years, and the B7V is one of the most affordable OLED TVs of 2017. Sorry - questions and comments on this page are now closed. Sorry - reviews and comments on this page are now closed.